If you had the option to go for a weekend break somewhere abroad at the end of March, where would you go? Somewhere sunny? By an ocean or a sea? Well, what if I tell you I ticked all those by going to Scandinavia. I hear what you are saying…why Scandinavia? Of course, there was snow everywhere. Of course, it was not very warm. But it was an experience that gifted me some warm memories. 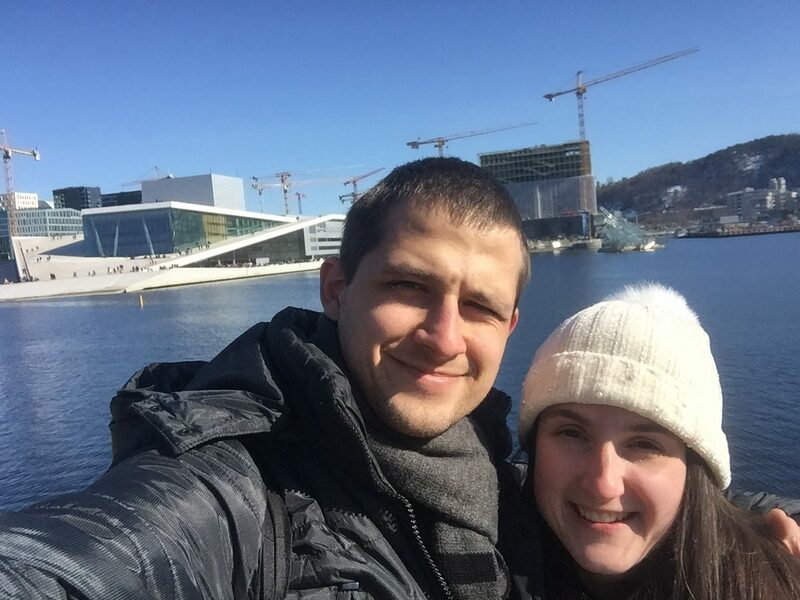 On Good Friday, we flew to Oslo, Norway for a weekend break. We knew temperatures were sub-zero during the night and our luggage was prepared based on that assumption. However, the moment the plane passed across the Northern Sea, the sight from the plane was amazing. It was ALL white! If I had the mood from three months earlier, probably would have started singing Christmas songs and browsing the sky for Santa’s sleigh. that we had the pleasure to experience. This is the most popular park of the city. Its main attraction is amount of over 50 statues placed around the area. Beware, all statues are completely naked. Even though each single statue was obviously made with high precision, quality and had an emotional representation of moments of a human life, I still felt queasy looking at them. The statues were made by one single person – Gustav Vigeland – in the 1920s and 1930s. Frogner Park is officially possessing the world’s largest installation of statues in one place. 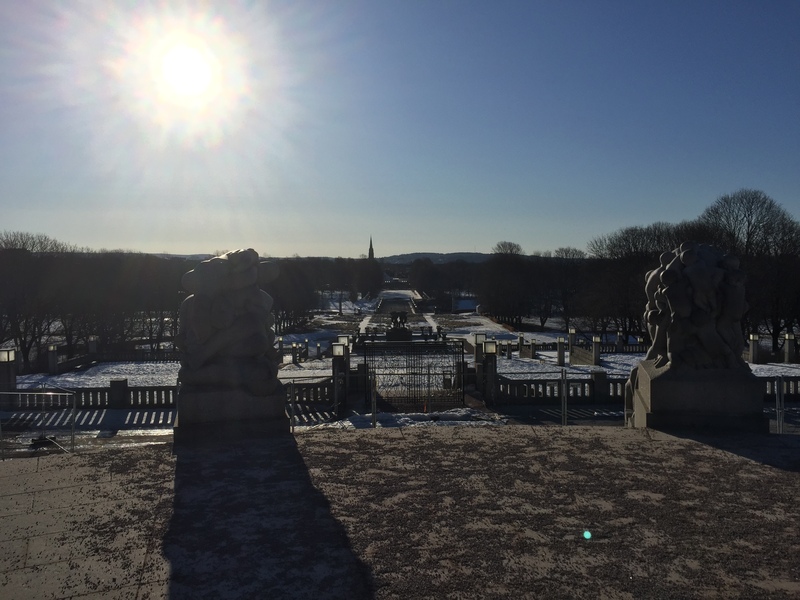 Because of the essential role that the statues hold for the park, many people refer to the area as Vigeland Park. As many parks around the world, it is the home of many animals, most particularly multiple breads of ducks and a couple of swans. As depicted in its name, this museum is representing the resistance of Norway against the Nazis during World War II. 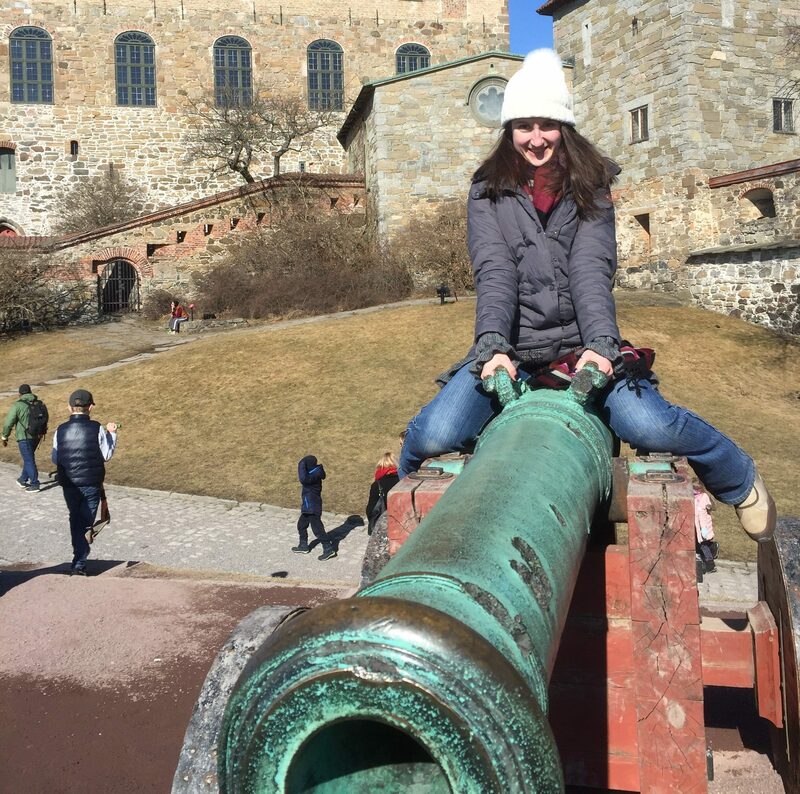 The Resistance Museum is within Akershus Fortress, which is considered as an active military zone. The museum was opened for the public in 1970 to commemorate 25 years from the liberation. Here you can see equipment and documentation used during the war. Small copies of areas of Norway were created to try replicate the times during the bombarding of the country. Based on its purpose, the museum is quite dark, but at the same time, when you go along the corridors, it moves away from the terror towards the victorious moments of the war. A single ticket to enter museum costs 60 NOK= €6. However, as with many tourist cities around the world, you can in for free if you posses a Pass. The Oslo Pass gives you access to attractions, museums and free transportation. It costs 475 NOK=€50 for 48 hours but you can purchase it for longer periods as well. It would save you a lot of money, if you decide to grab a Pass. Oslo’s opera is quite the modern looking building. But considering the fact its only 10 years old, it does not make it very surprising. 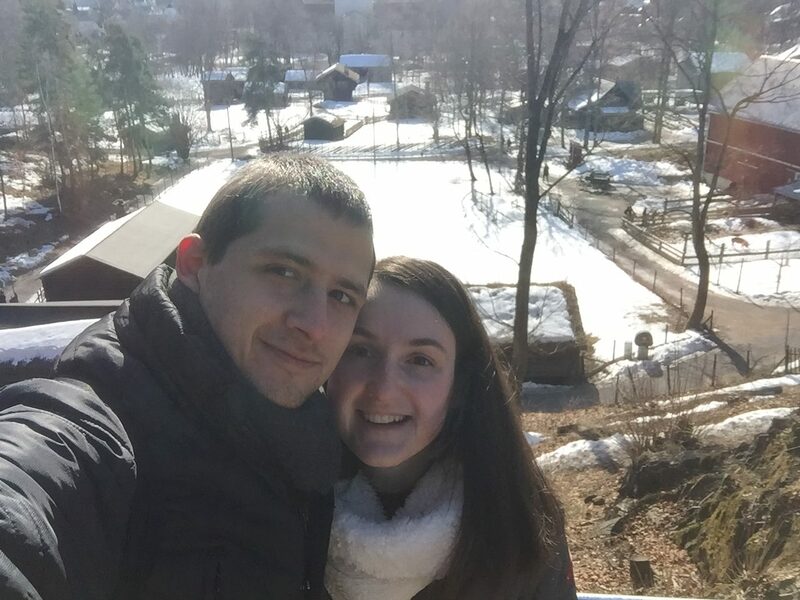 It is very popular with its roof, which you can climb to free of charge and have seat and enjoy the view, while hopefully being struck by sunshine. Here, we were able to relax, have a snack and plan the rest of our daily programme. The building in its self is a home of 1100 rooms and the biggest having the capacity of 1364 seats. The Maritime Museum is situated on Bygdoy peninsula, west of Oslo, and was established in 1914. It has a large collection of ships, ship equipment and you can even get into a luxury cabin. The best way to get from Oslo to Bygdoy is by boat. 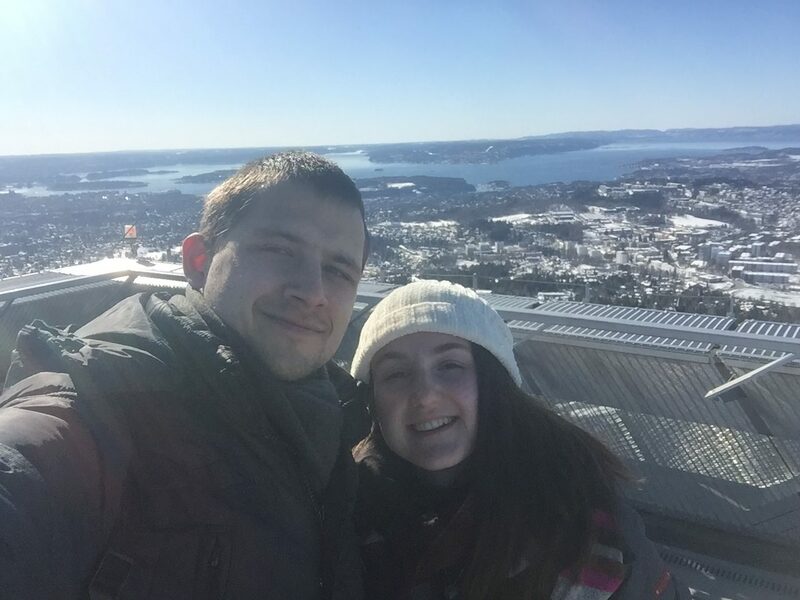 The travel takes around 10-15 minutes and it’s a nice way to see the scenery of Oslo being left behind and the approach towards the peninsula. The price for the boat is 60 NOK= €6 for a return ticket or free with the Oslo Pass. An alternative of travel would be to take bus number 30 from City Hall. This is a lovely restaurant which was recommended to us by a local. Rorbua Restaurant is situated on Aker Brygge, the main street along the coastal line for restaurants and pubs. 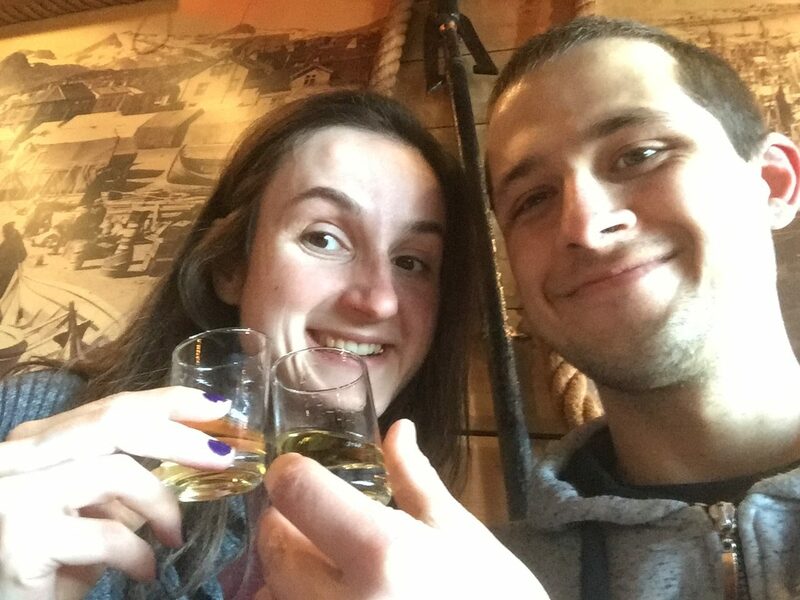 Here we tried the local alcoholic drink Aquavit and ate a meal that we did not see on the menue of a lot of other restarants – a skewer combining meat from whale, dear, beef and raindeer.We really enjoyed our time in “fisherman’s” atmosphiere and delicious food. Bear in mind that eating is not really cheap in Oslo. The meal that I mentioned had a cost of around €25. The museum was opened in 2005 and showcases the story of Alfred Nobel and what the Nobel Prize stands for. 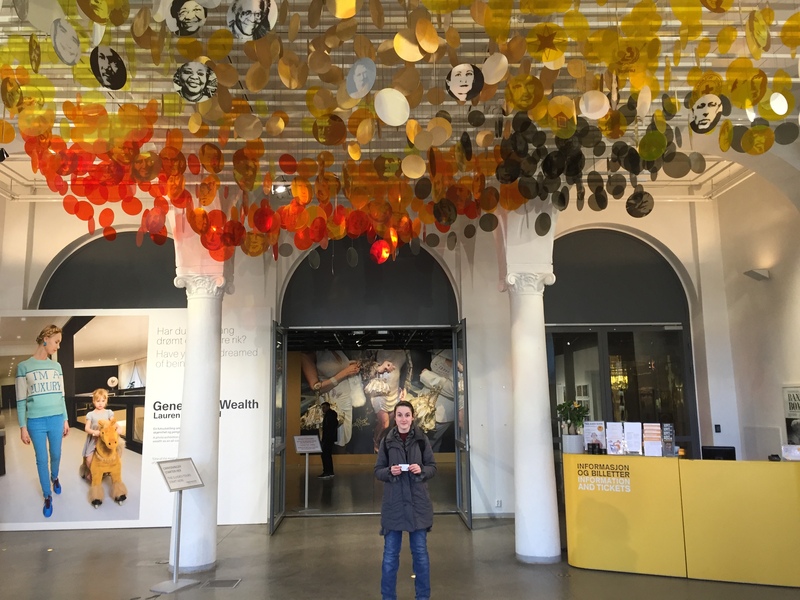 The most interesting section of the museum was room that formed a path of all laureates each being represented with an interactive screen that could explain the reader the achievements of each person. The ticket price is at 100 NOK = €10 and admittance is free if you have the Oslo Pass. The Viking Ship Museum is also located on Bygdoy peninsula and it’s the place to learn more about the famous tribe. 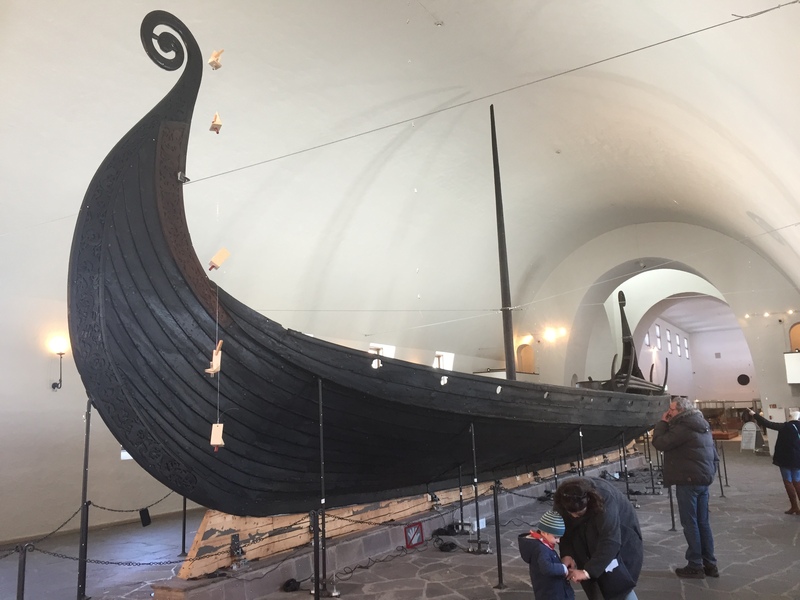 The corridors of the museum are filled with remains of Viking ships and artefact found on or around those ships. There is a magnificent 5-minute presentation projected on the ceiling and walls of one of the rooms throughout the day. Here as well you could get in for free if you have the Oslo Pass. Otherwise, you would have to pay a ticket price of 100 NOK = €10. The FRAM museum is represented by two triangle houses that host two large ships. The name of the museum comes from the name of the larger ship, which was used during major Polar Exploration Missions. Fridtjof Nansen, Roald Amundsen and Otto Sverdrup each heald an expedition trying to complete the Earth’s map North of Norway. 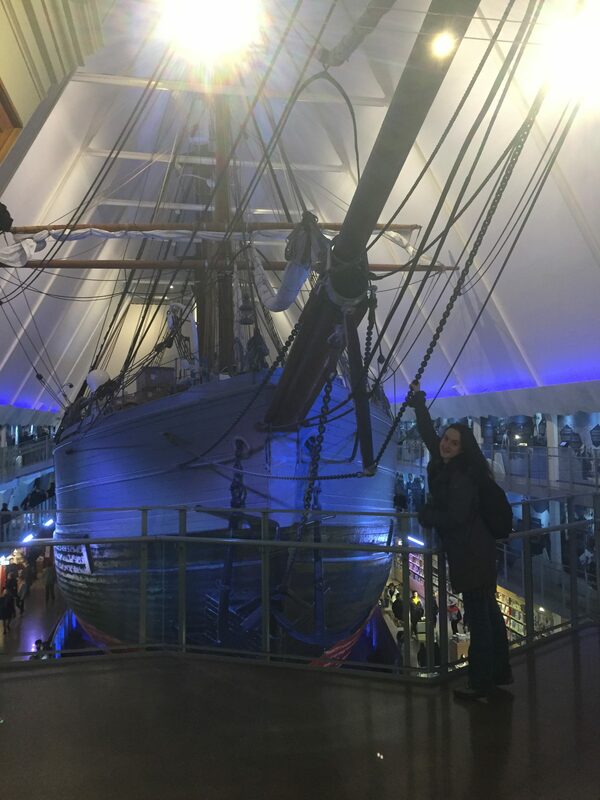 The FRAM ship was speicifically build for these trips and its design included a steel harnes for the ship to able to tackle the ice. 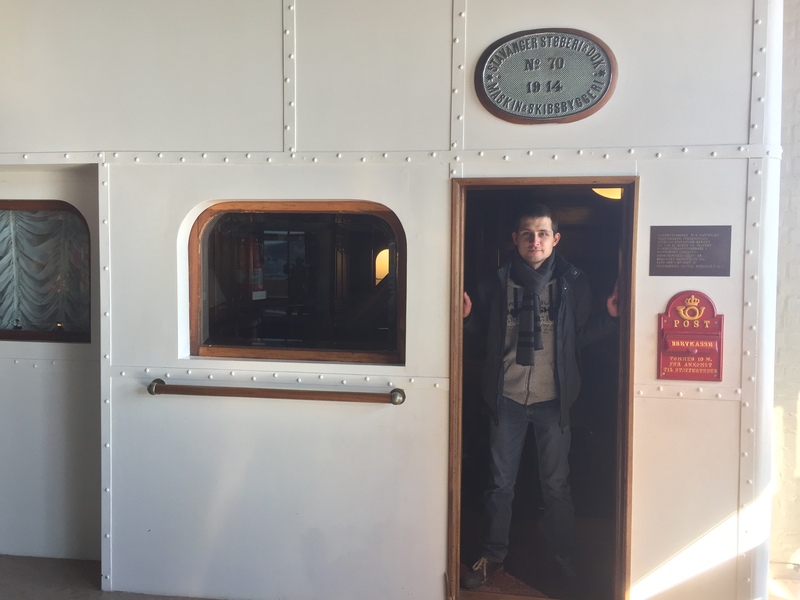 You are able to go on the ship and explore inside its cabins. The museum is also on Bygdoy Peninsula and to get inside you would have to pay 120 NOK = €12 or you can show an Oslo Pass and you would be given free access. 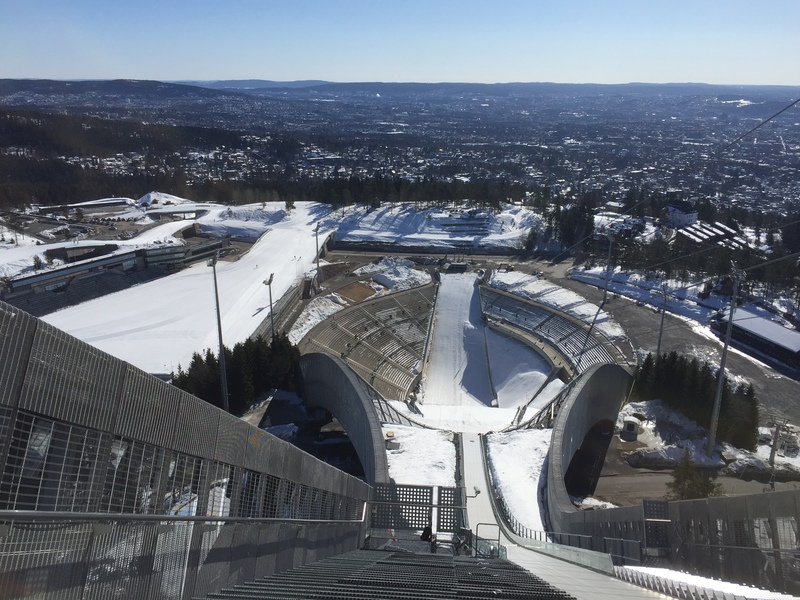 If you want a truly mouth gasping experience, you must visit Holmenkollen. It is the home of the only steel ski slope in the world. In order for you to get to it you have to take a train northbound which takes around 20-25 minutes (and is free with an Oslo Pass). From the station you can climb to the ski slope and visit its museum, where you can see that from its initial construction the slope was rebuild 19 times. 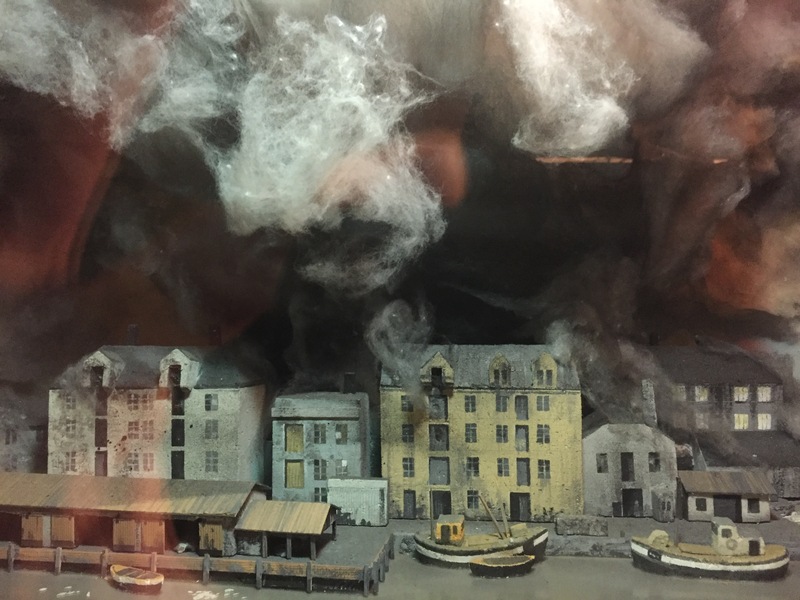 In the museum, there are miniature models of the slope throughout the years and you can see how elements were added and the scenery changes. Obviously, the ski slope hosted and is still hosting multiple Championships and World Cups. So, for the true fan of skiing this is the place to be. 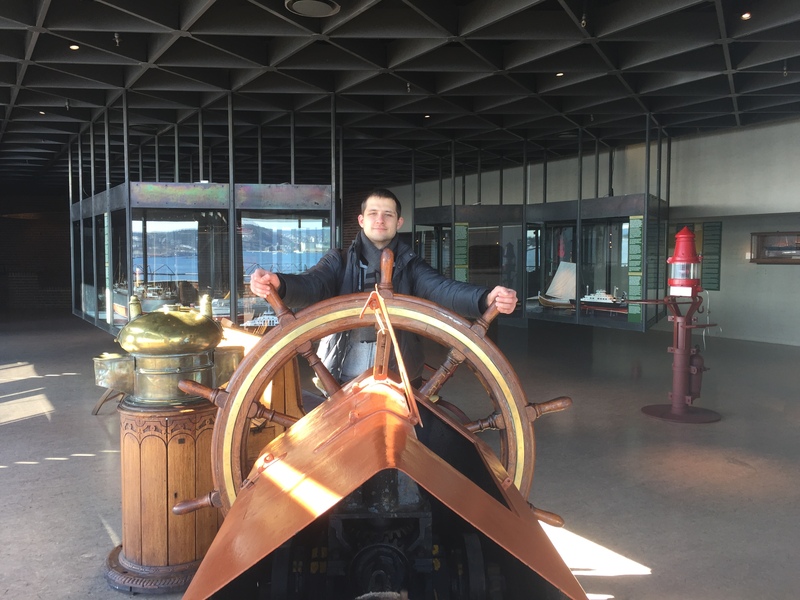 Within the museum you have an elevator that takes you to the top of the ski slope for an astonishing 360-degree view of Oslo and its surroundings. The admission fee is 140 NOK = €12 or free with an Oslo Pass. For some you it might seem strange or unfamiliar, but in my opinion the truly MUST visit place in Oslo is the Folk Museum. Like its counterparts, it is also located on Bygdoy Peninsula and it is probably the largest museum in Norway. The entrance fee is 130 NOK = €13 or free with an Oslo Pass. 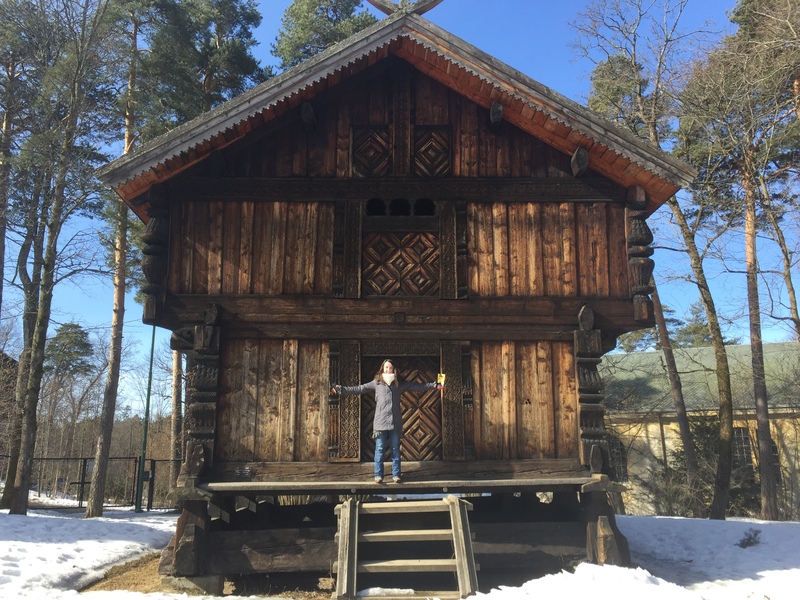 You get your ticket and then you go into a typical museum like building that showcases the culture of Norway (traditional clothing and furnishing). But the best part is after that. You go into an actual village with wooden houses, a pig farm and horses. Most of the houses are uninhabited but in some of them there were locals, which were having a chat with Norwegian tourists. I believe that this was just to enhance the atmosphere, but we did not find out if they actually live there. In one of the houses there were two ladies in traditional folk clothing which were making homemade bread. They were making the dough in front of you and after that baking it on a steel plate that was heated by coal fire. 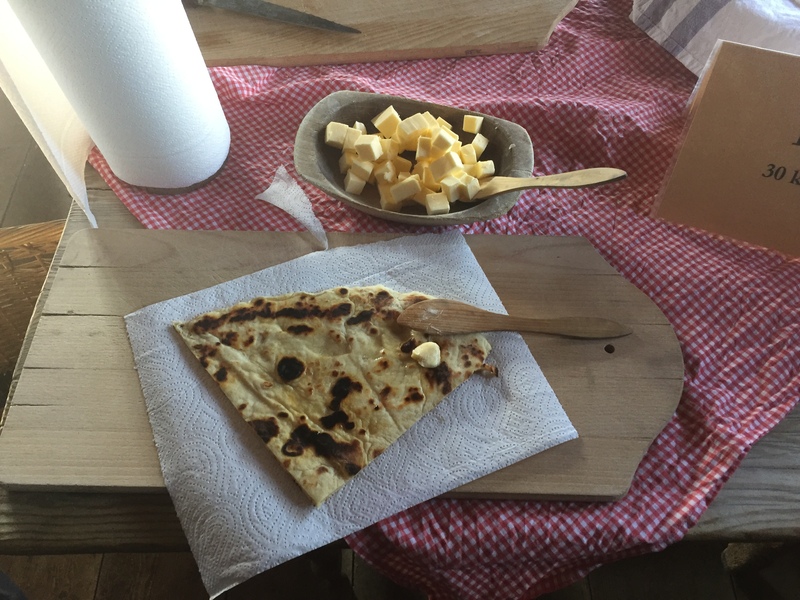 If you were patient you could have some together with “lefse” – a homemade butter. You might know that Norway is popular for its lack of crime but in that house, we found the situation quite odd. There was a sign saying 30 NOK so that you can have the bread and butter. However, the ladies completely oblivious to the money. 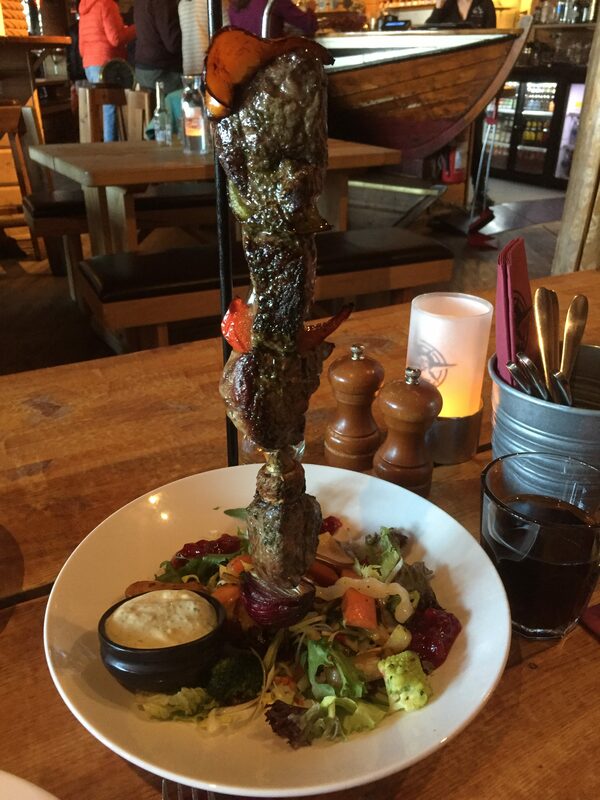 They told us “here you go…it is self-service…and you can deal yourselves with the money and change”. Nobody was checking how much money you are putting in or taking out. Of course, we dropped 30 NOK into the wooden bow full of change but we were impressed of this relaxed and carefree behaviour in era where people around the world might be afraid that someone could rob or con them. After our pick-me-up snack passed by an old sweet shop where we bought candy which was popular in 20thcentury. 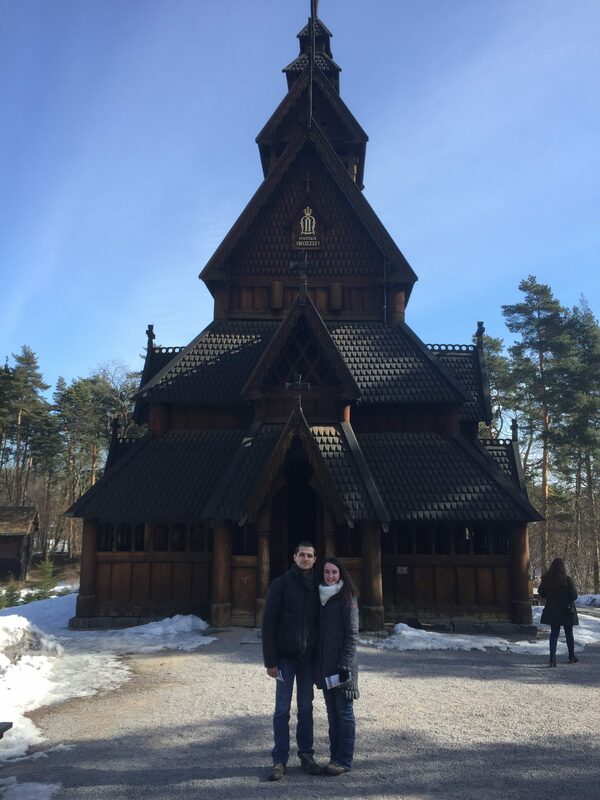 And before we left we went for a picture in front of the Gol Stave Church, which is dating back to the beginning of the 13thcentury. So this my list for Top 10 Must Visit Sights in Oslo. The representation of the count down had the purpose to show you my appreciation of the sights in an order from least to most important. Oslo is not only about these 10 sights of course and some you would probably give a different order to the list. But one thin is for sure, Oslo is definitely being underestimated and has a lot to show to the world. These memories would be kept very dearly by myself and have helped me to increase my knowledge and also pass it on to others.